Education provides the light of hope that penetrates the darkness of poverty. The Maasai Women’s Education and Empowerment Program is an Organization managed by a board of volunteer women from Kitsap County. MWEEP seeks to create long-term change by empowering girls of Kenya (Africa) to achieve far beyond what would otherwise be possible, thus equipping them to serve their community for the rest of their lives. 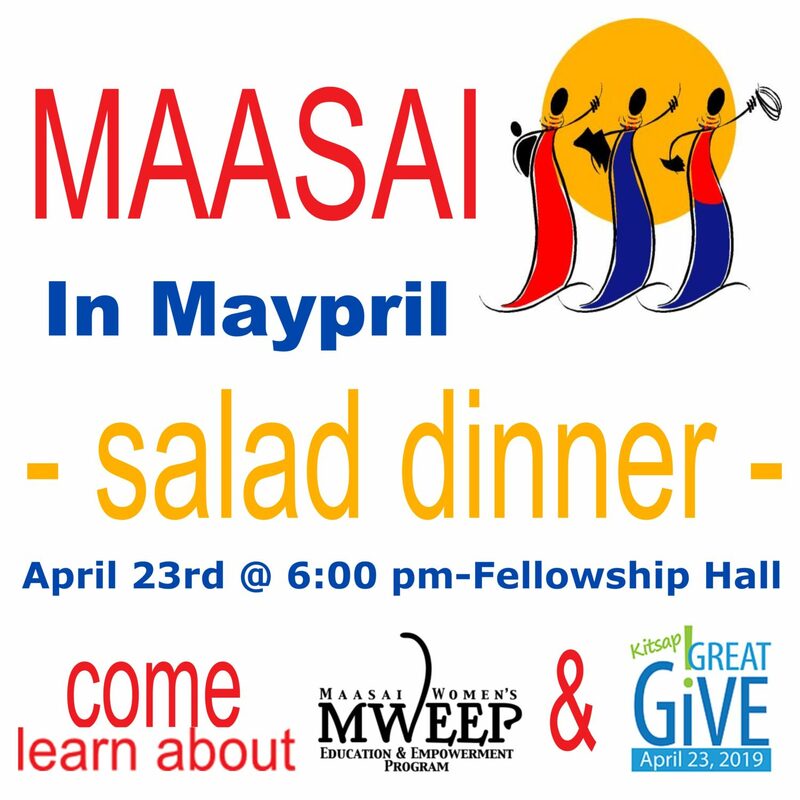 The annual Maasai in Maypril Fundraiser Salad Dinner will be held Tuesday, April 23rd at 6:00 p.m. in the Fellowship Hall. Salad greens and rolls will be provided. Guests are asked to bring their favorite salad toppings (i.e. cheese, veggies, etc.) Feel free to bring a friend! Please sign up at the front desk if you plan to attend or call the office.